Washington flag is the only U.S. state flag with a field of green as well as the only state flag with the image of an American president. The double sided flag consists of the state seal featuring the image of George Washington on a field of dark green with gold fringe being optional. 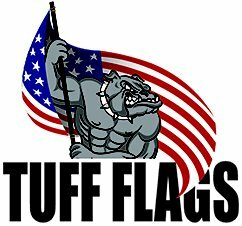 Show your state pride and legacy with these finely crafted state flags from Tuff Flags. 100% made in USA, these commercial grade flags enjoy a guarantee of 6 months on construction. These make great display items, gifts or souvenirs and can be used in schools, government organizations and business houses among others.Shop from our complete line of Washington Flags right away and avail the best prices, quick shipping and much more! 100% customer satisfaction guaranteed! Our Washington flags are offered in all standard sizes and in two different fabric choices of nylon and polyester. These flags finished with 9 oz. pure white poly sateen heading and grommets are made to the highest precision and beauty. 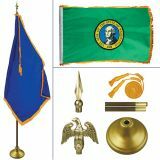 Choose from theindoor and outdoor flags and indoor flag kit that comes with all the items needed for a spectacular flag display. While light weight and quick dry nylon flags are more suitable for light wind conditions, polyester flags make a better choice for high wind conditions and coastal zones. Featuring UV resistant Dupont inks, these flags remain brilliant and colorful for a long time. 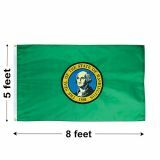 Browse our complete line of Washington State Flags and choose models that cater to your flag presentation needs. Need help? 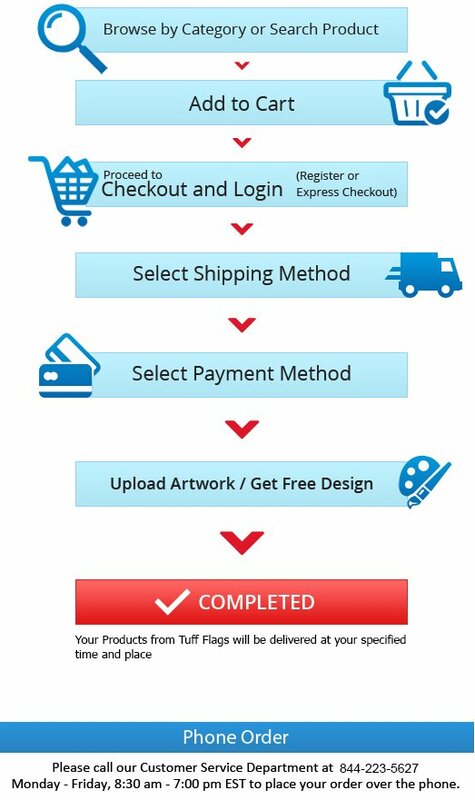 Call our toll free number (888) 287-3524 or email at customercare@tuffflags.com and we will be happy to assist.